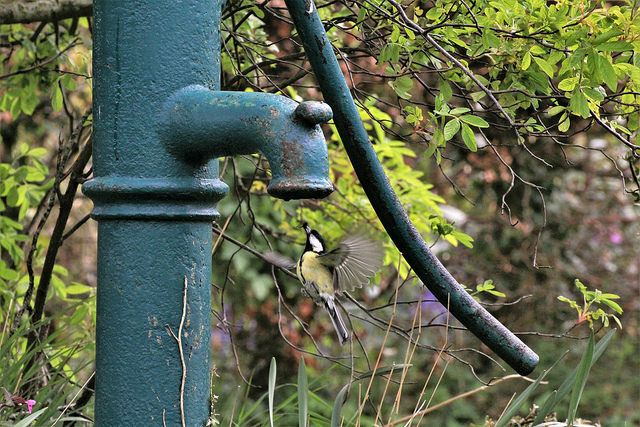 Hope our little friends return to the old pump again this year to hatch their brood! The repairs have started to the Cruck roof – Alex Gibbons the ‘Clay Dabbin’ and ‘Wattle and Daub’ craftsman has started work on the chimney. Our thatcher, Jonathan Botterell, will be here next week to start on the thatch. For health and safety reasons, and to let the craftsmen get on with their work, we have to restrict access both inside and outside the cottage meantime. However, Alex will give a short demonstration of his skills at 4.00pm on Easter Monday, 2nd April, at the cottage. This is a great opportunity to gain an insight into a skill seldom seen in our area, so please feel free to come along.